BeautyFruityBlurbs: Sneak Preview: Natasha Salon "Beautiful Creatures" Beauty Shoot for Sunday Times!! Sneak Preview: Natasha Salon "Beautiful Creatures" Beauty Shoot for Sunday Times!! This is exactly the kind of creative beauty shoot I've been wanting to see and trust Natasha and Hina to place it in the highest form of fashion by creating beauty looks that are larger than life. Photographed by none other than Nadir Firoz Khan; I am so excited to share these images with you all!! Make sure you check out the full feature in Sunday Times tomorrow. When I asked Natasha what her concept was behind this shoot, this is what she had to say: "This shoot was all about thinking out of the box and pushing our creative boundaries. 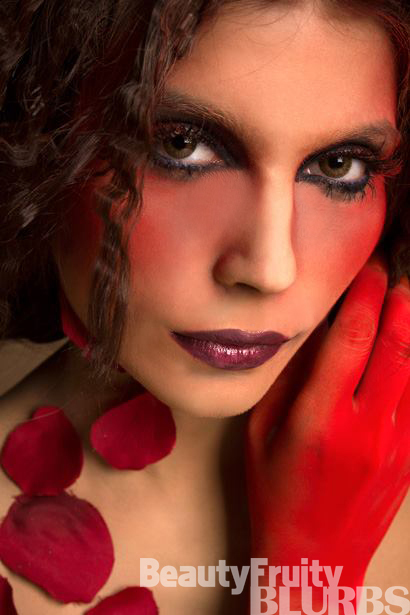 I’ve always maintained that I would not want to be put in any one category of just one kind of a makeup artist. What keeps us versatile and interesting is that we can do a gorgeous glowy bride and then do work such as this. To evolve as an artist is important and we at Natasha Salon more than ever want to introduce work to this market that rivals the work being put out in the international market because there is such an abundance of fantastic talent in Pakistan! With my fascination with all things dark and mysterious since I’ve been a little girl other than this being a tribute to some of my favourite makeup geniuses such as Pat McGrath, Val Garland, Kevyn Aucoin, Alex Box, Gucci Westman and many many more, it was also a tribute to greats such as Alfred Hitchcock and Stanley Kubrick….. the essence of their movies, the haunting feel has always inspired me and hence other than the makeup that is something else we have tried to capture in these images. I used the models and canvases and painted on them as I would an art piece using color, powder, sequins, studs , metal…… it was a great exercise because it allowed me to work with elements that one does not work with daily." 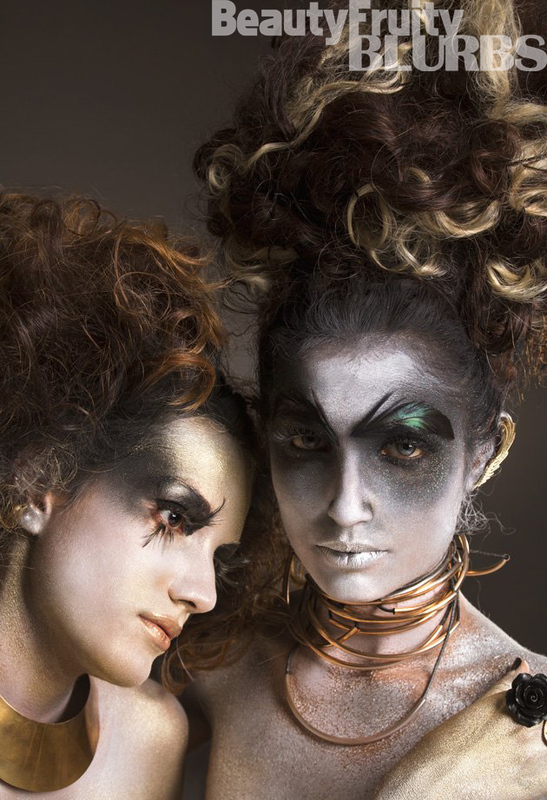 "Hina on the other hand used wires, metals, color and textures to create some out of this world hair! The different looks are majorly influenced by characters from those haunting movies, great makeup and hair artists and fashion designers such as Alexander Mc Queen, Jean Paul Gaultier, John Galliano, Vivienne Westwood and Maison Martin Margiela! So it’s a concoction of these influences that has shaped this shoot!" Wish there was also a video of this these hauntingly beautiful looks!!! Aren't you in awe of the talent being showcased?!!!! !